Inspect your roof at least once a year. If you have gone through all the effort of putting a new roof on your house, be sure to do a regular inspection to keep it in good condition. It’s best to inspect it during warmer months but it’s also good to inspect it after a rainy period to check for leaks or other problems. 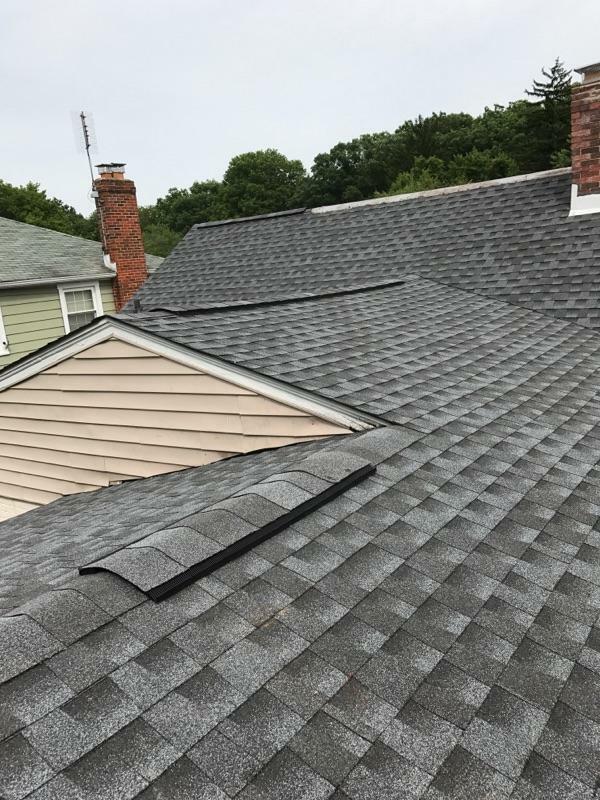 It is very important as a homeowner to take out a ladder and carefully check the roof, especially in areas where strong winds and bad weather occur. Look for cracked caulks or rust on the flashing. Metal is quite susceptible to inclement weather. Examine any exposed flashing to look for signs of wear and put caulks on affected areas. Find doubled tiles. Well-placed tiles should remain relatively flat throughout their lifetime, but bubbles will begin to form and will bend upwards at the edges as they wear out. This should not be a problem in a roof’s early years, unless some of them have been installed improperly. It is a good idea to check them and replace any tiles that appear to be loose. Hammer any loose nail or remove it and use a new one to secure the tiles. Save the roofing glue in case you have to do patching later and add a little hear and there as needed. Seal any flashing that you see protruding with glue. Eradicate moss from your roof. Moss is the ruin of the existence of a roof. Moss houses moisture and can reduce the lifetime of your roof tiles. Remove the dead moss with a broom and consider applying a commercial “anti-moss treatment” to the roof. This treatment will cost about $30. For a natural alternative, spray your roof with baking soda. Some anti-moss products have copper oxide or zinc which is harmful to ground water, not to mention pets and other animals. Spraying baking soda in areas prone to moss build up keeps moss at bay. Look for asphalt granules in gutters. When you tiles begin to wear out, you will see that the small protective beads of the tiles come off during rains and end up in the gutters. This is a sign that the tiles are reaching the end of their lifetime and you will need to replace them soon because they will not be able to withstand the UV rays of the sun. 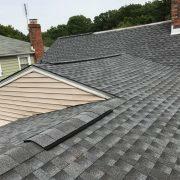 Start planning a roof replacement. Have tarps on hand in case the weather suddenly changes before you can replace the roof. Tie them together to make sure they’re secured. Use a high-strength magnet (or rent one) to make sure there are no nails left in the grass. They can end up deflating tires or damaging mowers.